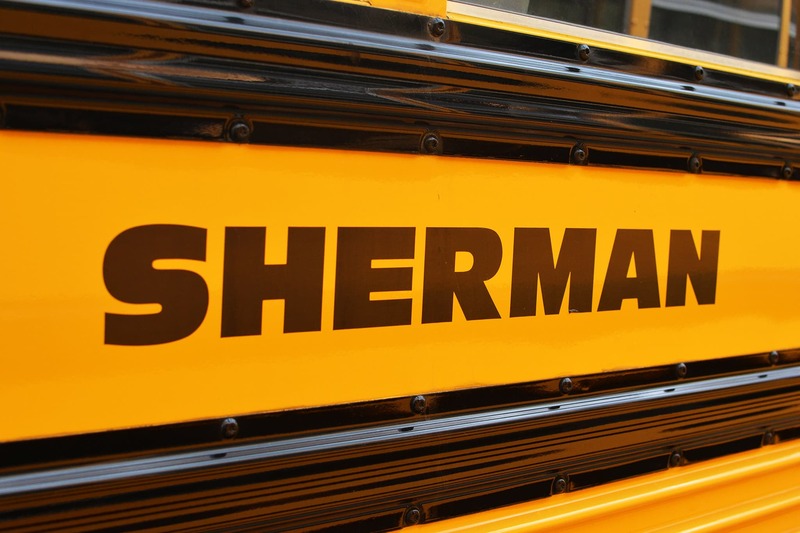 The school bus routes for Sherman School students can be found here. And the bus routes to and from Shepaug High School can be found here. Parents should check the school website for information about early dismissal days (for example: conferences and early release days). You can find a complete list of school bell schedules here. NOTE: Bus schedules are subject to revisions that result from enrollment changes, transfers and address changes. Changes and/or additions will be posted to the Sherman school district’s website and residents are encouraged to frequently check the website for the school their children attend. New Milford High School – 7:35 a.m. – 2:15 p.m.
Sherman School – 8:20 a.m. – 3:15 p.m.
Shepaug Valley School – 7:55 a.m. – 2:25 p.m.
Nonnewaug High School – 7:25 a.m. – 2:15 p.m.
Sherman School – 10:20 a.m.
Sherman School – 12:30 p.m. In the morning, students for New Milford High School, Shepaug High School and Henry Abbott Tech are picked up at designated stops and shuttled to the Sherman School where they transfer onto buses 4 and 5 to NMHS; bus 51 to Shepaug; and a New Fairfield bus to go to New Fairfield High School and then onto HAT. In the afternoon at NMHS, Sherman buses 1 and 2 are at the front of the bus line for the trip to the Sherman School where students transfer to buses that transport them to to their designated stops. Shepaug students ride Bus 4 to Sherman School for transfer to buses that will take them to their designated stops. HAT students take New Milford Bus 51 to their designated stops in Sherman. Any individual seeking a change to a student’s pick-up and / or drop-off procedure must contact the Sherman School. Procedures are detailed in the parent handbook, which can be found here. All Pre-K and Kindergarten students are dropped-off at their assigned bus stops and must be met by a parent or an authorized adult / caregiver, or they are returned to their home school or the New Milford Board of Education. All other students – grades 1 through 12 – do not require an adult present. However, for grades 1 through 5, if a parent or other authorized adult/caregiver that is usually present when a student is dropped off is not there, that student will be brought back to school or the New Milford Board of Education. If a student is uncomfortable when getting off at his or her bus stop, that student also will be returned to school or the New Milford Board of Education. It is advisable for parents/caregivers to inform the school if they want their student to be dropped off at their bus stop without an adult being present. In the event a change to a pick-up and drop-off schedule is needed during the school year, parents need to contact the Sherman School.